Named for the Basque word for 'shield' this bracelet is made up of bezelled chatons. 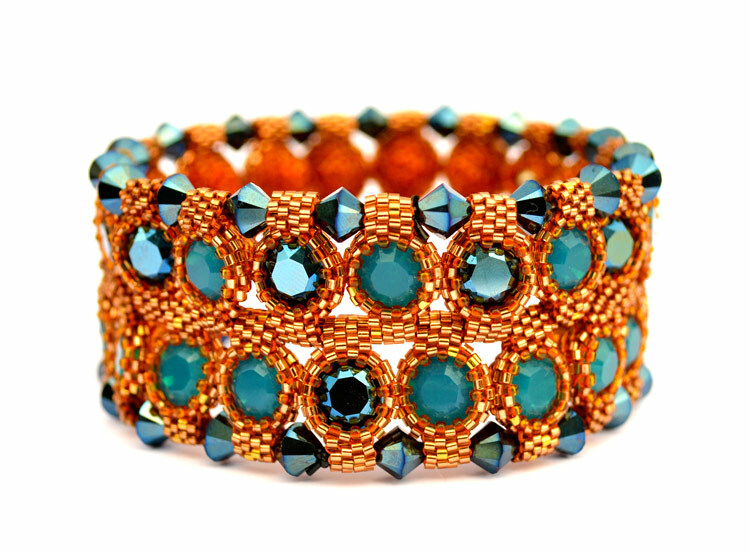 The components are designed and strung in a way that allows the finished bracelet to be as many rounds deep as desired. Instructions for these projects is available to purchase as a pattern.